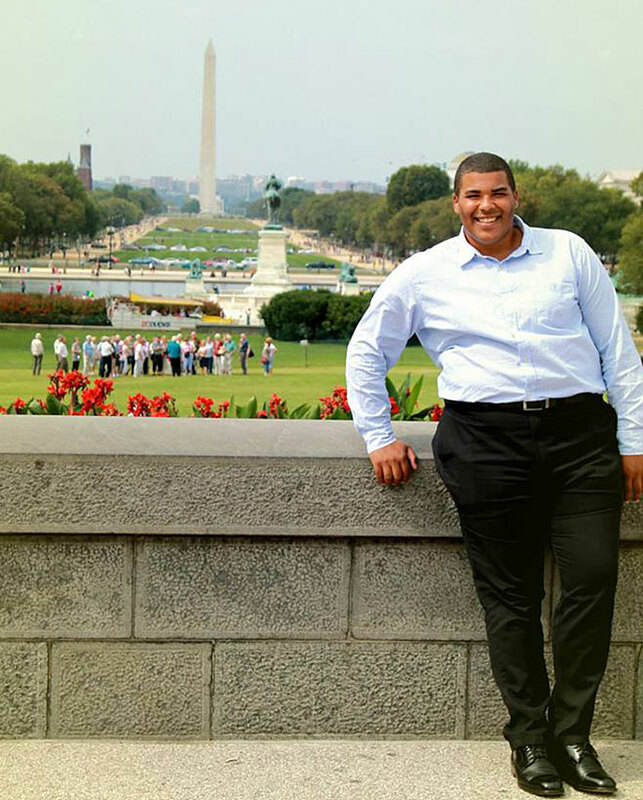 Going to Washington, D.C., to lobby for students was a highlight of Andre Theus’ undergraduate career. Andre Theus will don his cap and gown June 13 at UC Santa Barbara with a list of accomplishments that includes lobbying in Washington and Sacramento, leadership in student government, and numerous honors and awards. Perhaps best of all, he graduates with a job in business development waiting for him at Oracle in San Francisco. It’s a record worthy of pride for any student. But as a former foster youth, his prospects might have been very different. Theus — who was placed in foster care as a teenager — grew up in a chaotic home and experienced incidents of sexual abuse throughout his childhood. He often acted out and struggled with behavioral problems throughout his teen years. But he was also a gifted and devoted learner. The combination made for an unusual student: one with some of the best grades in the school and also some of the most suspensions. When behavioral issues and family conflict reached a crisis just as Theus was beginning his senior year, he was placed in a group home. Sharing a room with six other boys, he was afraid to sleep for fear someone might steal his belongings. At his new high school, he made up a whole false history so people wouldn’t know he was in foster care. While his classmates were out in the evening enjoying newfound freedom, Theus had to be back before the group home was locked at 9 p.m. He buckled down more than ever on his studies and used a computer in the school library to fill out his college applications. Almost immediately, however, Theus faced certain practical challenges. For example: where to live in the few months between aging out of foster care and starting classes at Santa Barbara. Participating in a summer start program for students who wanted to begin a few weeks early gave him access to campus housing — and also helped him make friends and connections that would serve him throughout his college career. Theus continued to battle anger and depression, struggles that threatened his resolve to stay in school. Finding a major — sociology — was a turning point that inspired him to his stick to his studies, while also helping him learn about himself. He also became a peer advisor with Guardian Scholars, a program — started by a UCLA student who had come from foster care — that helps former foster youth. The program offers a sense of community to students whose unique circumstances can make them feel isolated on campus. It also deals with practical issues, such as where to live during summer and winter breaks, as well as more emotional ones, such as ensuring that students don’t eat Thanksgiving dinner alone. Now, excited to receive his diploma and embark on the next chapter of his life, Theus reflects on how much of the knowledge and confidence he carries forward where shaped by his experiences as an undergraduate. “I think of education so differently thanks to my experience at UC Santa Barbara,” he said.